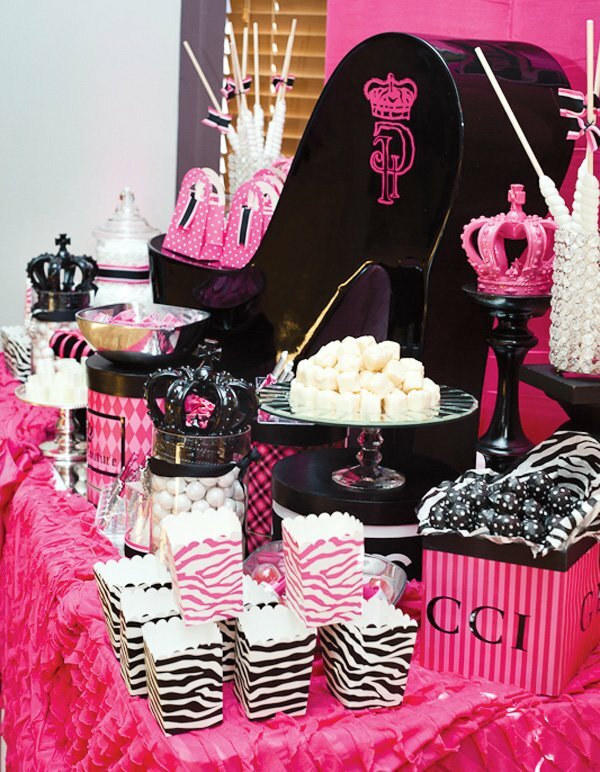 Bold black, white & pink with a hint of zebra! 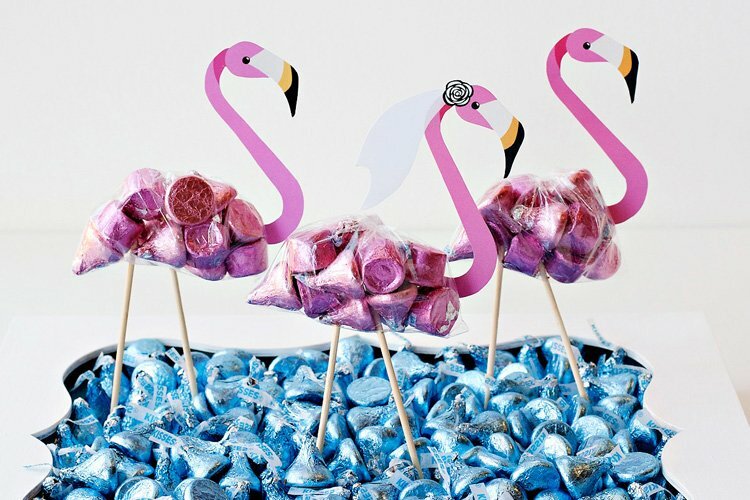 PARTY DETAILS, as told by Jamee…. 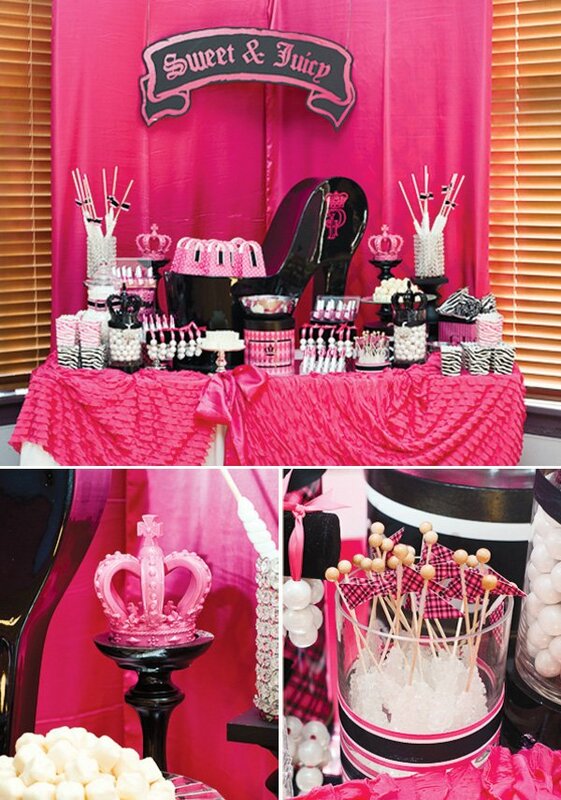 This was a sweet sixteenth birthday party for a very special teen. Her mom (Michelle) was a high school friend of mine and lost her battle with cancer just months before this party. I went to school with both her mom and dad, who were high school sweethearts. I stumbled upon a post that the dad put on Facebook about being a little lost about what to do with his daughters 16th birthday so I reached out to him and told him I would decorate her party for her so that he wouldn’t have to worry about it. I met with Parker (the sweet birthday girl) and she told me she liked pink and black and Juicy Couture so we took that and ran with it. I put a call out to some of Michelle’s old high school friends to see if they would want to help with setting up the party and many girls responded and came out to help and honor Michelle through Parker’s party. The party was held at Grafton Peek Ballroom, a space with high ceilings, large windows and wood flooring throughout. We decorated the 5’ round tables with hot pink floor length linen with black satin toppers. 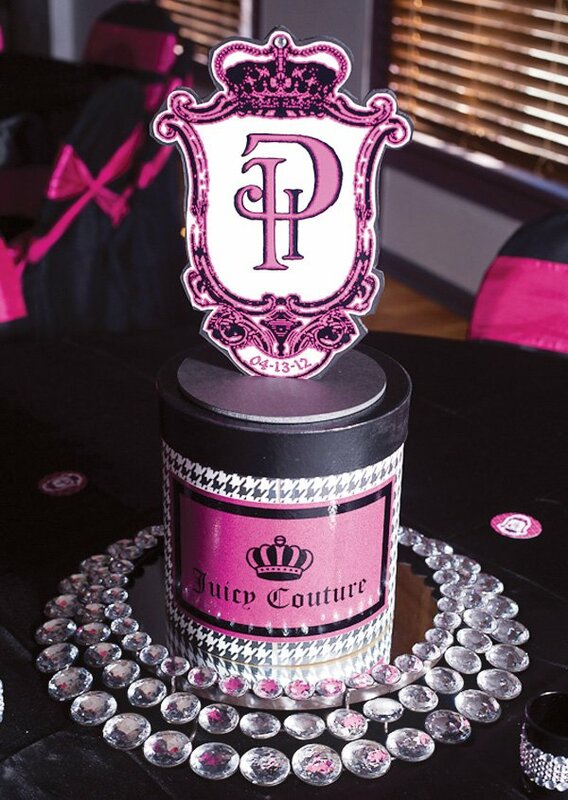 The centerpieces were hat box stacks with a Juicy style logo we created with Parkers initials. 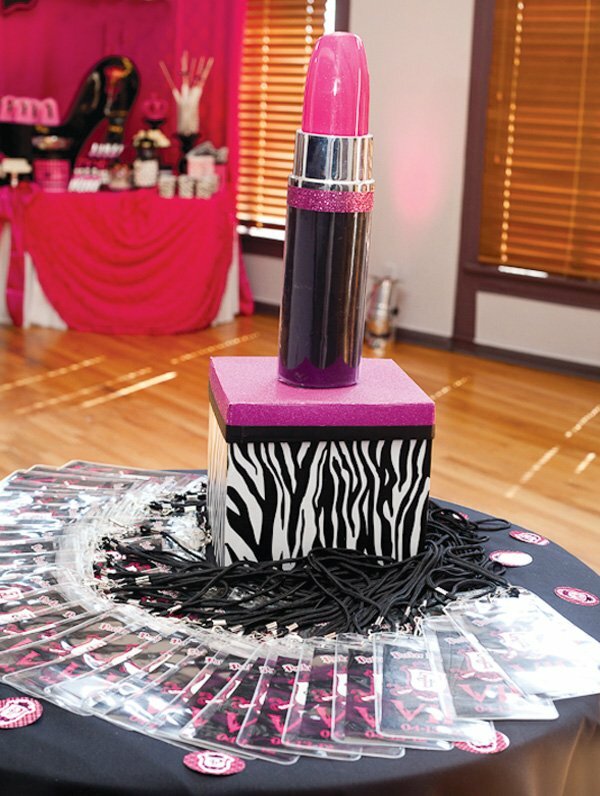 We placed each centerpiece a top a glitzy mirror stand. 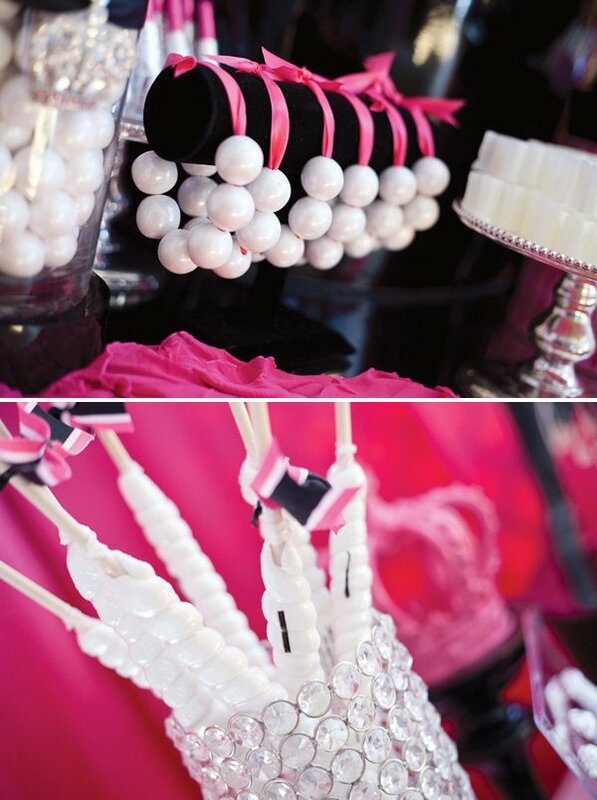 We covered the chairs with black chair covers and tied a hot pink sash in a corset fashion. 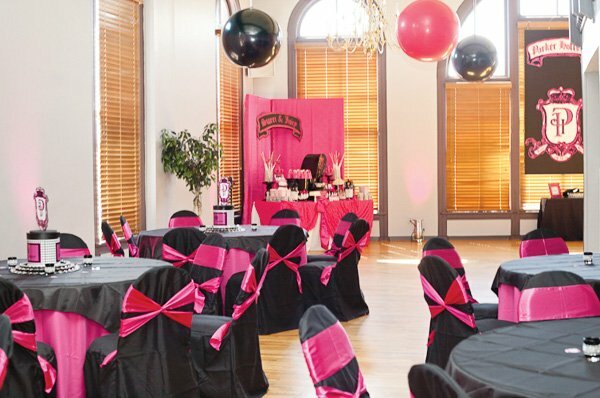 We hung giant hot pink and black 4’ round balloons from the ceiling to add dimension and color to the tall ceiling. We carried the Juicy theme throughout the party with custom drinking straws, VIP credential passes and an 8’ tall sign that hung in one of the massive windows. 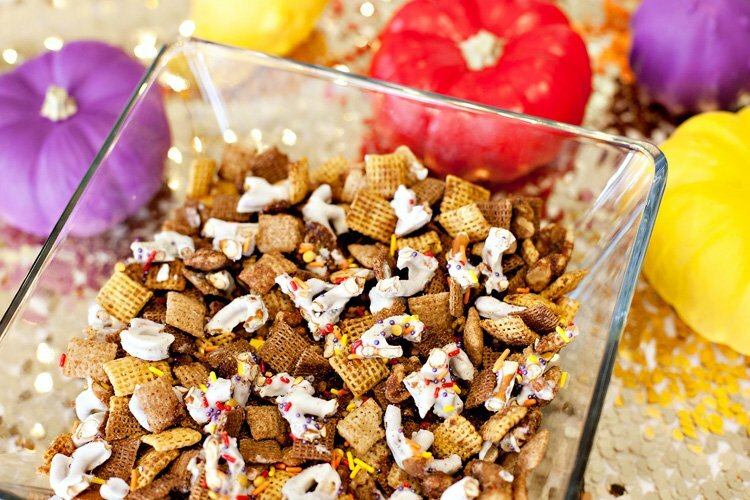 One of the main features, and a surprise to Parker, was the Sweet-n-Juicy Candy Buffet. The focal point of the buffet was the Sweet n Juicy Sign and the giant black stiletto shoe prop. 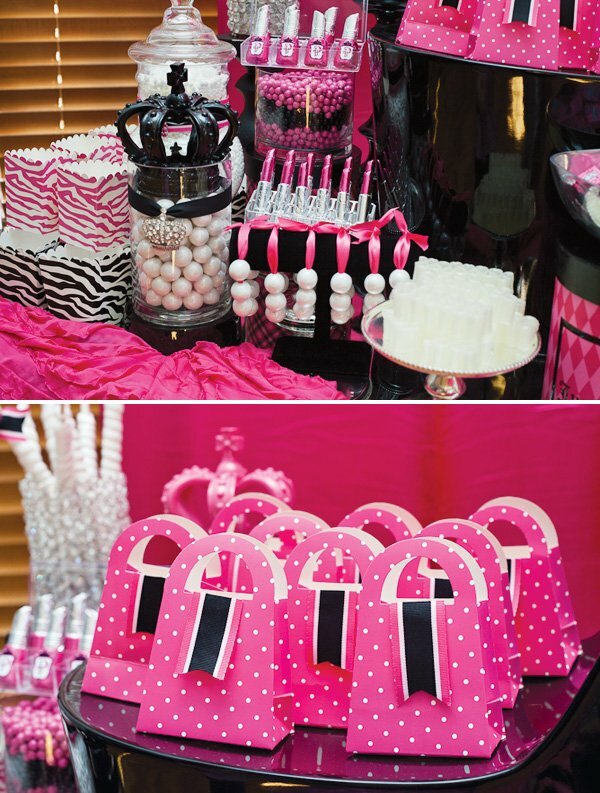 Some of the fun sweets featured on the buffet were lipstick chocolates displayed in Lucite lipstick holders, chocolate nail polish, gumball pearl bracelets hanging on a jewelry display, hat box containers filled with pink and black candy and purse shaped favor bags for guests to fill with candy. 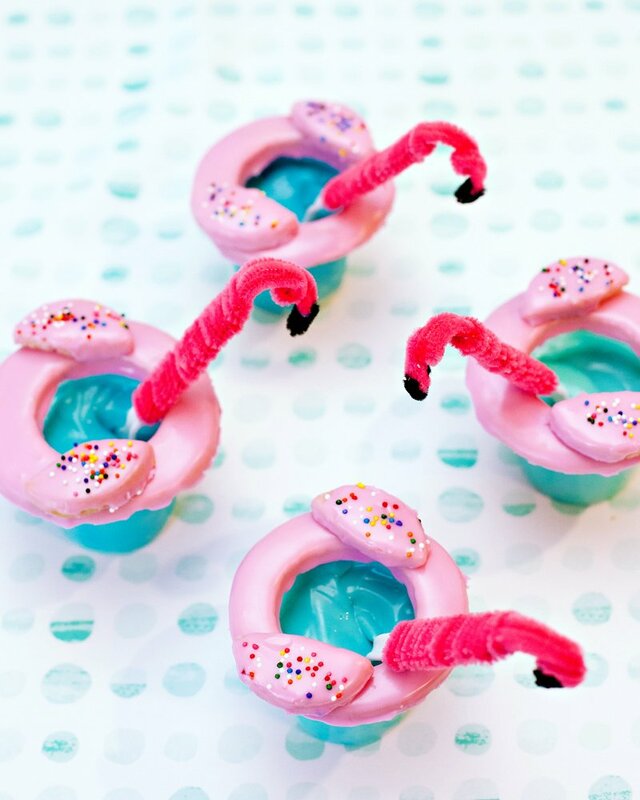 The birthday is lovely, it could even be a great theme for a bachelor party or 30th bday.. It was very nice of you to help the father. Thank you so much Jen!! It’s an honor to be featured on your awesome site. You made my day!! Wow Jaim! How awesome! You are something else and congratulations!! Hi!!!!! Love, love, love the theme! My daughter wants to use some of this stuff at her quinceanera party. 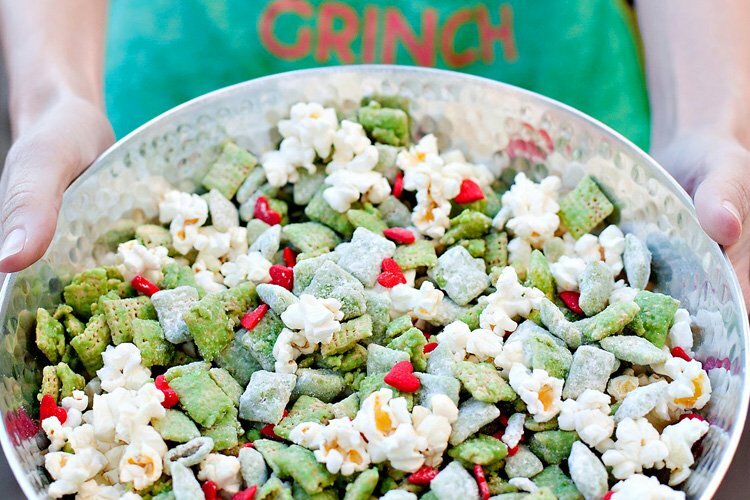 Where can I get this stuff? Good evening, where did you get the shoe prop/pedistal and are they for sale? how did u find the pink and black crown for tops? I just love the idea. What a wonderful party it must have been. I would like to use the idea for the fashion show mother/daughter party. Where or how do I get the lipstick and nail polish ? It’s beautiful & love the colors, how can I purchase the stiletto? How did you make the giant lipstick for the VIP Table?